Who goes to a class? Workshops and classes held in Evesham, Worcestershire, with Kate Bird. 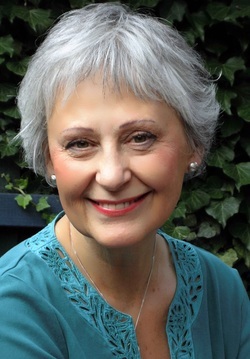 Kate is a senior Educator and Mentor with the Spiritual Companions Trust, teaching a rounded - and grounded - approach to spiritual and emotional literacy, universal spiritual practices, including meditation, and the keys to psychological awareness that aid deeper personal, spiritual and inner growth. Kate has worked with William Bloom since 2005, both as student and colleague, helping to develop and teach the Spiritual Companions programme. In reality, everyone alive is on a journey. All of us are on the journey between life and death, of learning and growing, of making some good choices and some bad mistakes along the way, each of us reaching our own understanding of what it means to be truly human. Your journey is, in other words, your life story, it's the story of your own direct experience; of what you've done, what's happened to you, and how you've reacted. The story you tell about yourself. It becomes a spiritual journey when you wake up and start asking meaningful questions about what's happening to you. You begin to look inside yourself for the answers, to discover who you are, and explore what your life is about beneath that story. Then, when the realisation strikes I'm on a spiritual journey', you feel something profound and trustworthy click into place, as if ... well, as if your soul has just announced itself to you, perhaps? Join me, Kate Bird, on a course or at a workshop with other like-minded fellow travellers who also hunger for depth and meaning and want to move beyond the shallows of small talk and social chatter to enter the deeper waters of meaning and purpose in your own life, learning how to grow spiritually and soulfully from within, and finding connection with something greater, on the journey of re-discovering yourself.